Former Arsenal right back Emmanuel Eboue touched down on Ugandan soil yesterday ahead of his charity work among other things. The former right back joins former Senegalese, Reading and Portsmouth defender Ibrahima Sonko who arrived in the country earlier, courtesy of a partnership between Bunga Bet and URA FC. Mr. Prosper Tuhaise the Bunga Bet CEO, received Eboue alongside URA FC communication officer Bridget Nakayenga and staff from the two institutions. The two are on a charity mission which will see them donate items to three hospitals and schools on top of conducting soccer academies training camps. They will also analyse the on going World Cup games on national television. Speaking to the media, Eboue empasized that all your aspiring to become football stars should have a great deal of discipline. 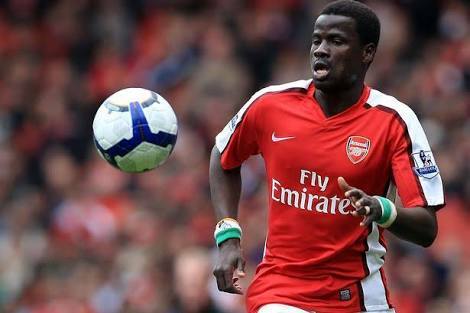 ”Everyone has got a talent but what makes difference is the self discipline of an individual, said Eboue. “Hard work and self esteem is key in anyone’s career. “Every great footballer would like to see his dream coming true playing at the World Cup and I encourage all young players in Africa and the world at large to develop self discipline for success. 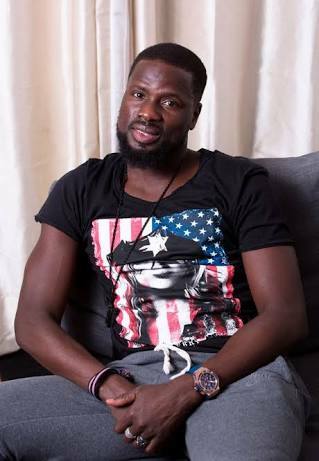 Emmanuel Eboue is a football Star who was born on the 4th of June 1983, in Abidjan City of Ivory Coast which sums up to a total of 35 years of age. In January, the 34-year-old was confirmed unable to play anymore due to ill-health. He was given a one-year ban from football for failing to pay a former agent, but even though that ban expired, he was unable to resume his career. He struggled to cope with the death of his grandfather, Amadou Bertin, who raised him before being diagnosed with cancer, and his brother N’Dri Serge, who was killed in a motorbike accident. He was also about to lose his home. A messy divorce has seen his ex-wife awarded all of their assets, and he was ordered to transfer their Enfield home to her by a judge. 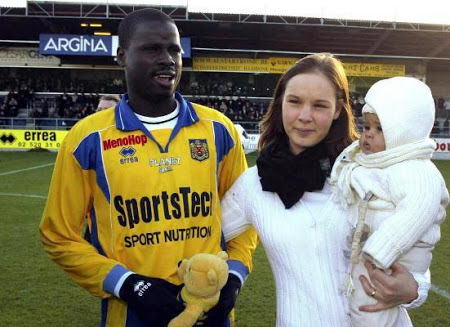 Eboue started his youth career with ASEC Mimosas of Ivory Coast in 2000-2001. He later in 2001 graduated to ASEC Mimosas senior side up to 2002. The Ivorian looked for greener pastures at Beveren of Belgium where he played 77 games in total and scored four goals between 2002-2005. His best move and club career came in 2005 when he joined the famous English Premier League giants Arsenal. He played a total of 214 games and 10 goals between 2005-2006. After his six years spell at the gunners, Emmanuel Eboue joined Galatasaray of Turkey in 2011-2015 where he played 102 games and scored 5 goals before he joined Sunderland of England in 2016 and played no game. With the National team, Emmanuel Eboue played 79 games in the Ivory Coast colours and scored 3 goals from 2004-2013. Eboue scored his first National team goal against Germany on the 18th November 2009 in a friendly which ended in a 2-2 draw in Germany. His second goal came on the 4th September 2010 in a 3-0 victory against Rwanda in the 2012 AFCON qualifier played in Abidjan. His last National team goal was on the 30th January 2012 AFCON group stage game against Angola in Malabo in Equatorial Guinea. The Ivorian played a total of 490 career games and managed 25 career goals.